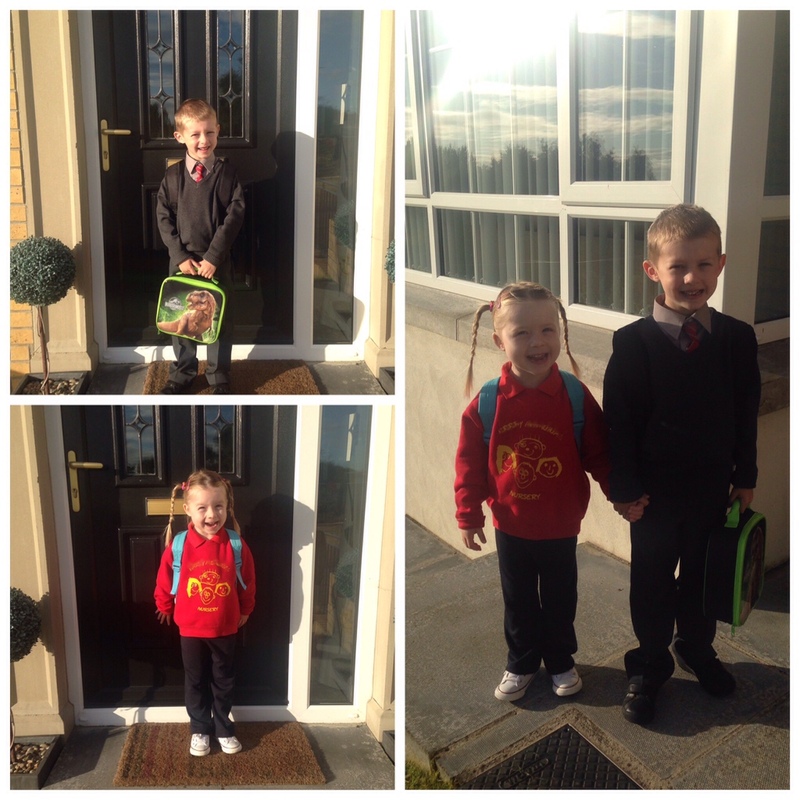 So this week has been a pretty momentous one – my two beautiful babies are now at school. Max returned on Tuesday to start Primary three and Lucia started on Wednesday in Nursery (probably known as pre-school in other countries). Aside from both being exhausted today following their first few days of routine after the lovely long Summer holidays, they have both had a great week. Max was happy to get back to all his friends and the school has been great at ensuring he doesn’t over-do it on his newly healed leg. I have been very worried all Summer how he would cope at school as he still has a lot of rehab ahead, but so far so good. Plus he has had no homework all week which in his words has been ‘awesome’! My baby girl was then phased into nursery over three days (thankfully her ‘full day’ is only two and half hours!). Each day she went in skipping, pig tails bouncing, excited to get stuck into all the toys, play doh, jigsaws, paint, stories and anything else that she could get her hands on. Aside from a few tears at song time (she’s not big into group singing!) she has loved it. Her teacher says she has been confident and sociable which warms my heart as she is only three years old. And 99% of the time I haven’t been worried about her Lymphoedema. Thanks to her fab teacher we have all been very prepared on the Lymphoedema side of things for the day she began nursery. (You can read all about Mrs Marks here). I knew Lucia was going in to a teacher who had taken a lot of time to understand her condition, how to fix her garments, to keep an eye on her in the sand pit and watch out for falls in the little playground. We stayed behind on Lucia’s first day for the new Assistant to have a go at pulling up her garments under our supervision and we feel completely happy and content that her Lymphoedema is being well looked after in those couple of hours when she is away. She has also been in the sand room (eek!) but I know that her shoes are being given a good shake to get the sand out. Then when she gets home I take off her tights to double check no grains have made their way in. So, surprisingly, the hardest part for me wasn’t worrying about how Lucia managed with her Lymphoedema. The hardest part has been getting to grips with both of my babies being at school. This is a completely new phase of our lives as a family and I have cried many tears over the loss of the ‘baby years’. I have found it hard to let go. I felt as if my heart broke a little bit as I walked out of school alone after dropping them both off on Wednesday morning. I then spent the time clock-watching, barely able to wait until it was time for Lucia to get out of nursery and then Max from school so I could get them home and cuddle them! However, I know I have been mourning what ‘has been’ and now need to look forward to what ‘will be’. I just have to adapt to this new phase. My children are happy and that is all that matters. They both love school and look forward to going. I want them to make friends, learn and be happy. I want them to be confident in who they are and to enjoy school life – as they will be there for a long time.